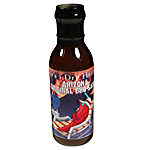 PHOENIX HOT BBQ SAUCE - What makes this BBQ Sauce different? This sauce has a great deep, rich flavor you can only find from Arizona! Our recipe is used in combination with Anthony Spices Habanero to make it especially hot. Hands down, the best in the Southwest!